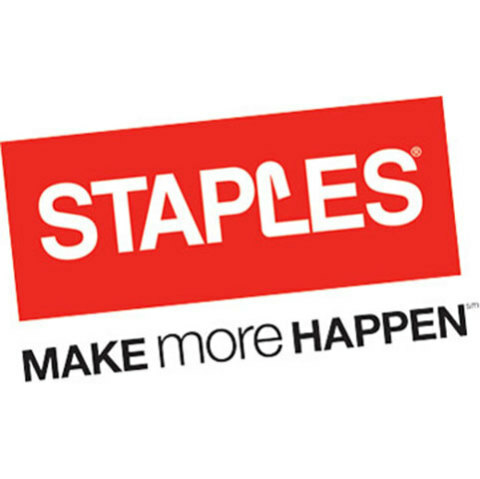 "We are very grateful for the support of Staples Canada in providing back-to-school materials for deserving children and youth." FRAMINGHAM, Mass.--(BUSINESS WIRE)--Staples (NASDAQ: SPLS) and global pop music superstar Katy Perry teamed up to “Make Roar Happen” this back-to-school season, donating more than $2.5 million (USD) in support of teachers, students and classroom projects across North America. As the presenting sponsor of the North American leg of Katy Perry’s Prismatic World Tour, Staples inspired audiences, fans and customers to ‘roar’ for teachers and students. 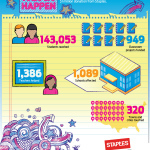 Staples donated $1 million to DonorsChoose.org, a non-profit organization that funds classroom projects for teachers in local communities in the U.S. As a result, Staples fulfilled 949 classroom projects; providing 1,386 teachers in 1,089 schools with their classroom needs, and impacting 143,053 students throughout the U.S. Additionally, Staples customers have donated $150,000 to date to DonorsChoose.org at Staples stores and at www.staples.com/makeroarhappen. Donations will be accepted until Sept. 25, 2014. Staples Canada, with the help of Katy Perry, raised more than $1.4 million as part of its Annual School Supply Drive, setting a new record for the campaign. The drive helps Canadian students who lack resources and is based on partnerships with almost 200 charitable groups throughout Canada, including Boys and Girls Clubs of Canada, Kiwanis and the United Way. 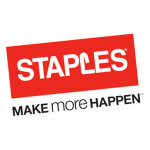 Staples locations invited donations, with 100 percent of donations directed to students in need. The Annual School Supply Drive, now in its ninth year, has raised close to $10 million.